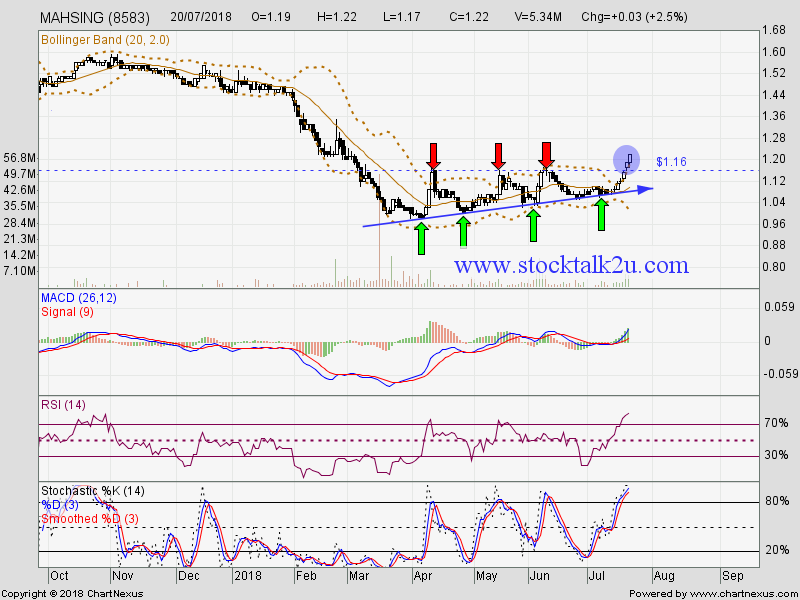 MAHSING succeed breakout RM1.16 resistance level. How high will it go? 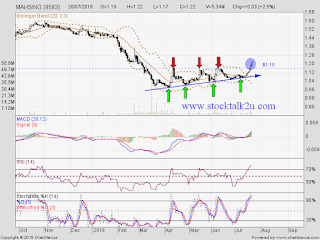 MACA trade at positive region, uptrend sign. Stochastic %K on BUY call itinerary. Immediate resistance @ RM1.30 level. Subsequent resistance @ RM1.36 level. Subsequent support @ RM1.06 level. Like this blog To Be A Success Trader beacuse get detail technical analysis about trading this is very helpful blog to all trader.